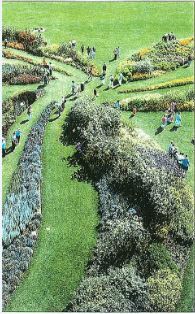 In 2002 I was commissioned by the Royal Botanic Garden Kew to design a planting focusing on colour. My design covered a circular space of approximately 70m across and was made up of three sets of three beds with the central bed in each case planted in a primary colour and a gradual succession of colour pigments in the other beds. These waves of colour pigment were engineered to take the visitor on a journey through angry tangles of hot carmine reds and cool shades of ultramarine, cobalt and indigo. Since then I have been fascinated by how we use, and perceive colour in our gardens. 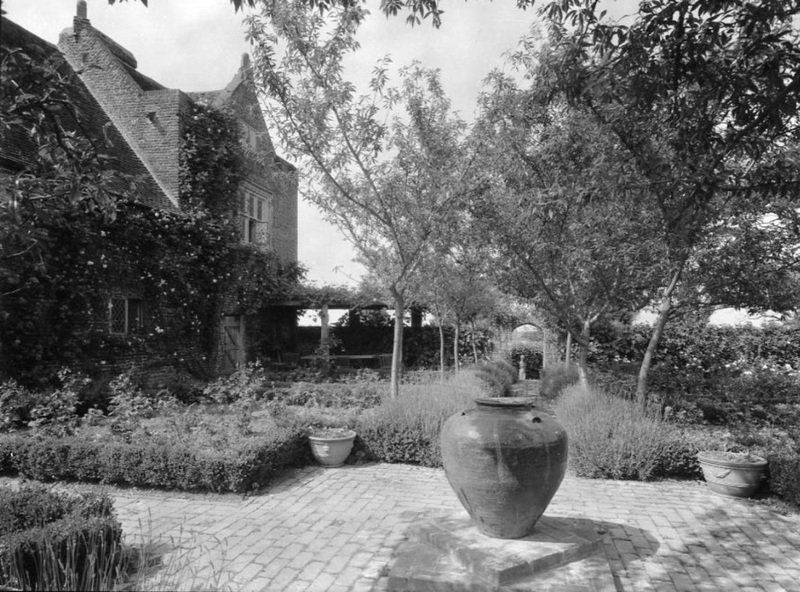 At Sissinghurst, the first thing that strikes you is the sheer range of colour that Vita used in her garden, from the vibrant sunset colours of the Cottage Garden to the rich colours of ripe plum in the Purple Border. Vita’s palette was sophisticated and cutting edge, embracing all colours and using them in new and exciting ways. 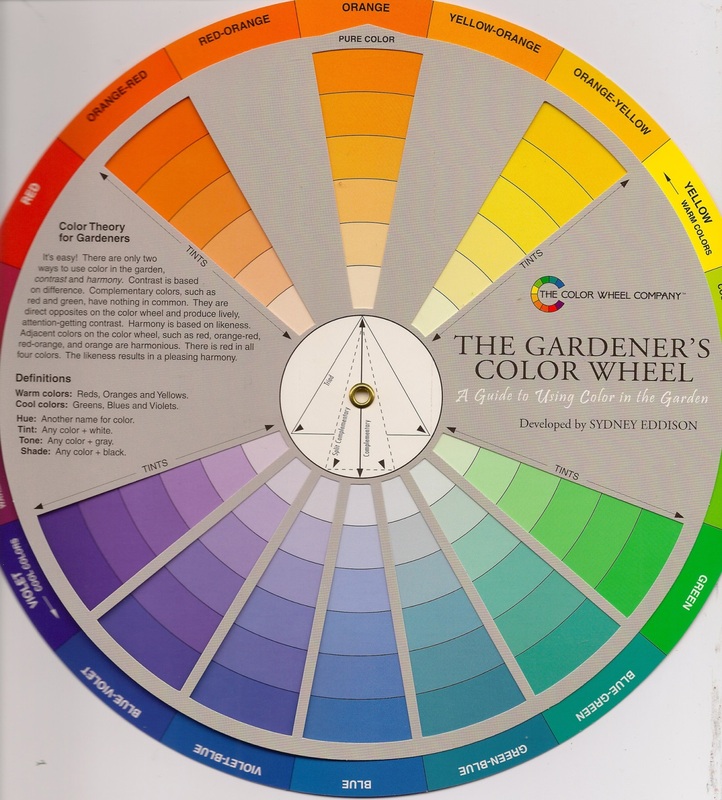 Gardening with colour is not about individual plants, but how plants with different colours are combined, and it’s the colour wheel that provides the gardener with a way to understand these combinations of harmonies or contrasts. It shows which colours follow one another, which colours are close to one another and which colours are absolutely discordant because they are physically opposite each other. However, you can’t simply put colours together in your head, you need to practically put them together side by side. 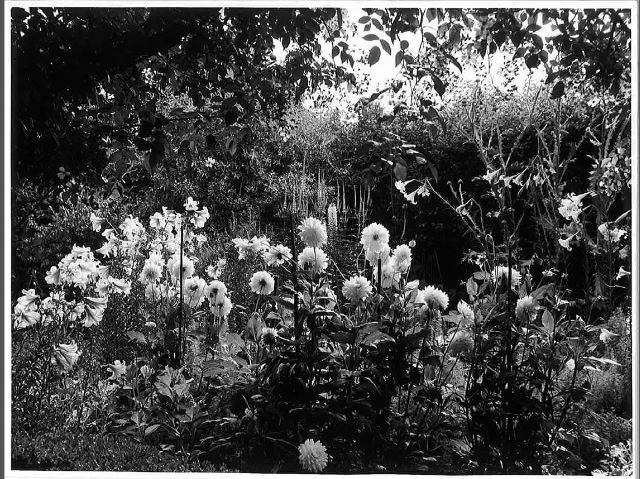 To do this, Vita had a great dodge; that was to pick a stem or two of a particular flower and to walk around the garden holding it next to other plants to see how they looked together. It is this arranging of plants and colours that will influence not only the garden space but also the way you feel in that space with different colours arousing different emotional responses in us. Vita’s most dramatic use of colour however can be found in the legendary White Garden; it is an essay in the use of flowers and foliage within the limited palette of grey, green and white. Without the immediate attraction of a mixture of colours, our attention is drawn to the more enduring qualities of texture, form and shape. Although not unique, it was rare at the time. Made in the early 1950’s, it represents the plantsmanship of Vita at its most highly developed – the White Garden was to become one of the most celebrated and influential gardens of the twentieth Century, copied thousands of times all other the World. Most gardeners feel relaxed about white, they think it’s an easy colour to use, but in actual fact it is one of the most difficult. 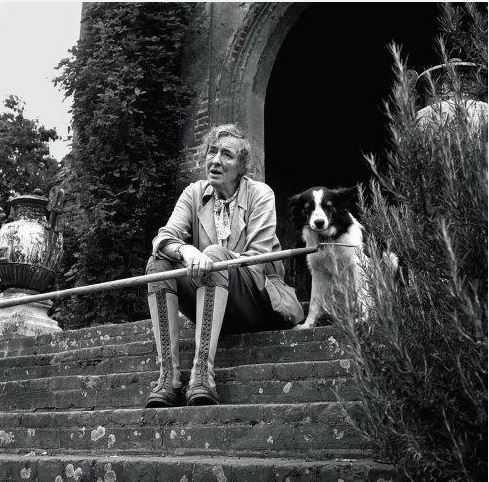 But when it is used with skill and imagination as Vita showed here at Sissinghurst then it is truly inspiring. Look out for my next post in late February when I will talk in detail about our work to uncover Vita’s White Garden and what we are planning, to bring about a celebration of this.